We are also hosting a giveaway for Alice Hannah & we are giving away two prizes. Yay! 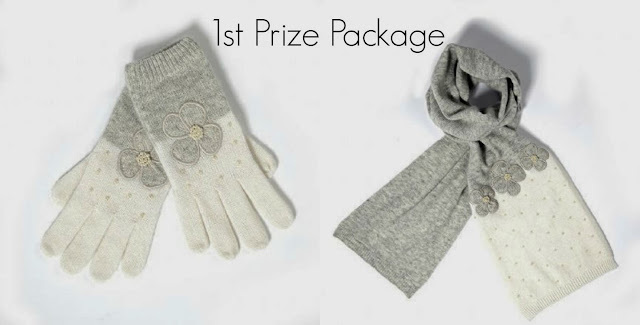 The first prize includes the Embroidery Flower and Pearl Gloves & Scarf set. 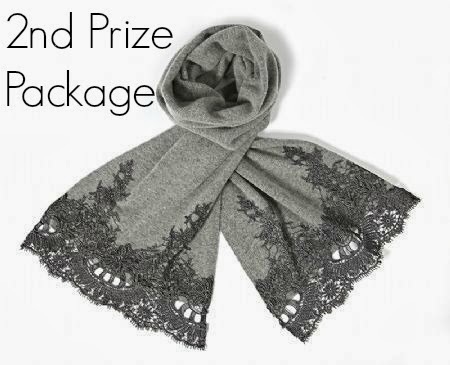 The second prize is this beautiful grey lace scarf -- perfect to cozy up with in the cold winter months. To enter the giveaway, please leave a comment down below with your favorite item from Alice Hannah. Then do what ever entries you want via the Rafflecopter widget to qualify to win either of the prize packages. The giveaway will end on January 10th, 2014 at 11:59PM [EST] & the winners will be announced on the 15th of January. I love the "Chunky Rib Arm Warmers"! They are SO CUTE! 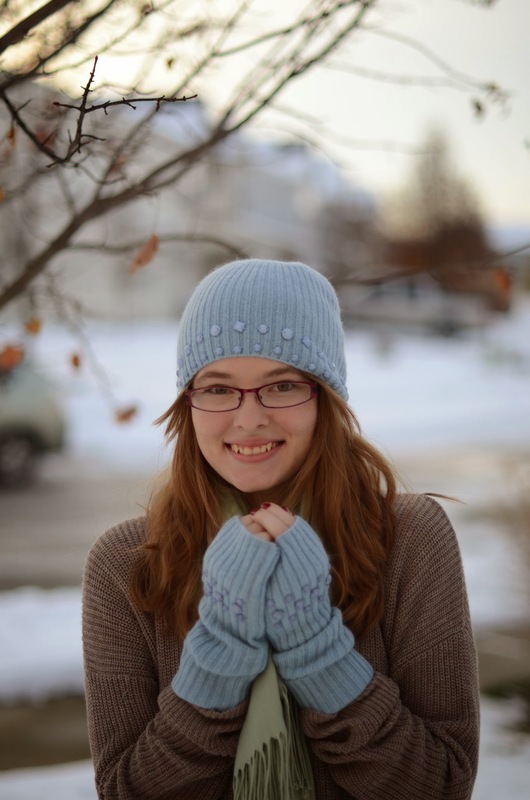 I love the light blue fingerless gloves! My favorite is the Grey Lace Shawl...So pretty! I like the grey lace scarf but also the polka dot scarf. I like the mini bow stripe hat! I like the Chunky Rib Armwarmers that Gabrielle is wearing. I like the Fair Isle headband! I'm not usually a glove person, but I really like some of their gloves. They've done some interesting things with polka dots and leather. You girls look great in your sets! I love their Fair Isle headband. I love the stripe and pearl hat as well as the baroque lace hat! So cute! I like the lace shawl and the fair isle headband. I like the Embellished Turban Headband and the Colour Block Headband! So many beautiful items!!! 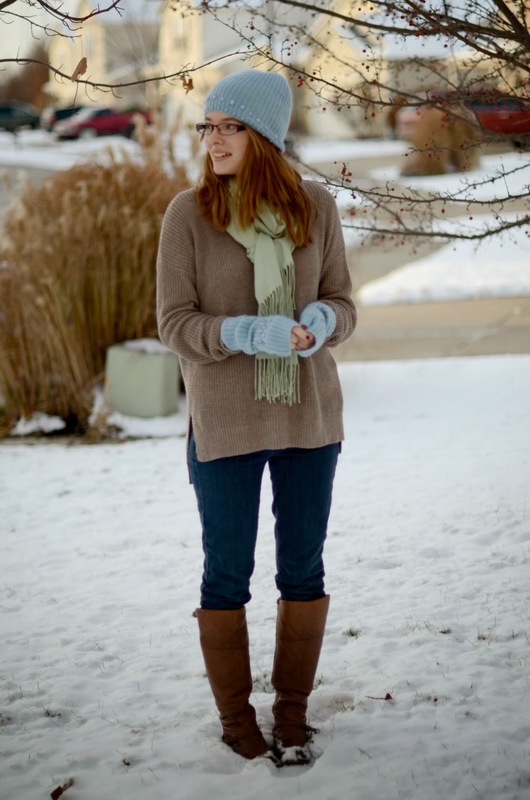 The Diamante Bow and Cable armwarmers look cozy and warm and Cute!! What beautiful items! I love the lace on that gray scarf. Beautiful and so fun!!! Seriously, I would be happy to win either item!!! <3 I love the Embellished Turban Headband, the Lace Shawl... and many other items in their shop! I love the Vintage Flower Embellished Collar! Love both pairs of the gloves! those are so gorgeous! My fav is the grey lace scarf! I love their gloves - such cute patterns!! And of course, their scarves. Scarves are kind of a favorite thing of mine. I love the gray lace scarf! Mmm...that grey lace scarf is so lovely and sophisticated. That gradual and subtle introduction of the dark lace at the ends of the scarf makes a non-intrusive statement. Well-made. Thank-you, Ashley and Gabrielle for hosting the giveaway! I love the brown leather gloves with whipstitch! I also love the lace shawl and the pearl trim neck scarf! 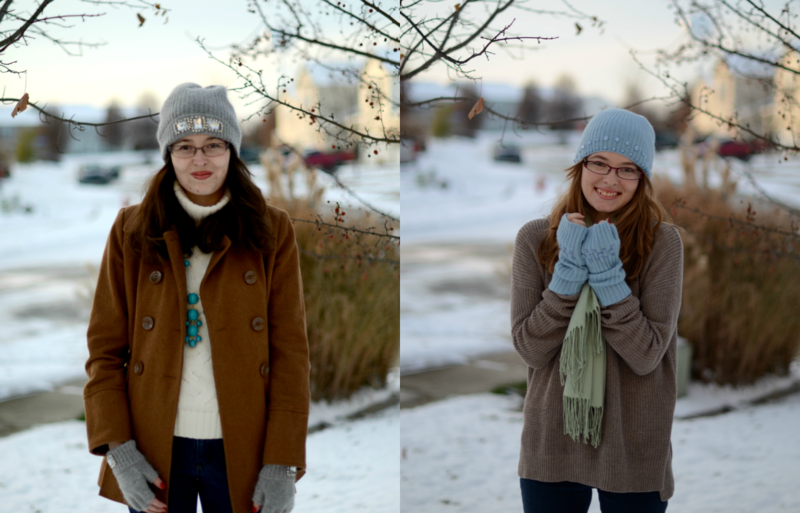 Such gorgeous winter accessories! But I had to comment and let you know you two ladies are looking lovely! The colors are absolutely fantastic on you! Really makes both your skins all glowy! (Yes, horribly written). I actually love the Embroidery Flower and Pearl gloves featured here! But they have so many lovely things. Thank you for hosting the giveaway! 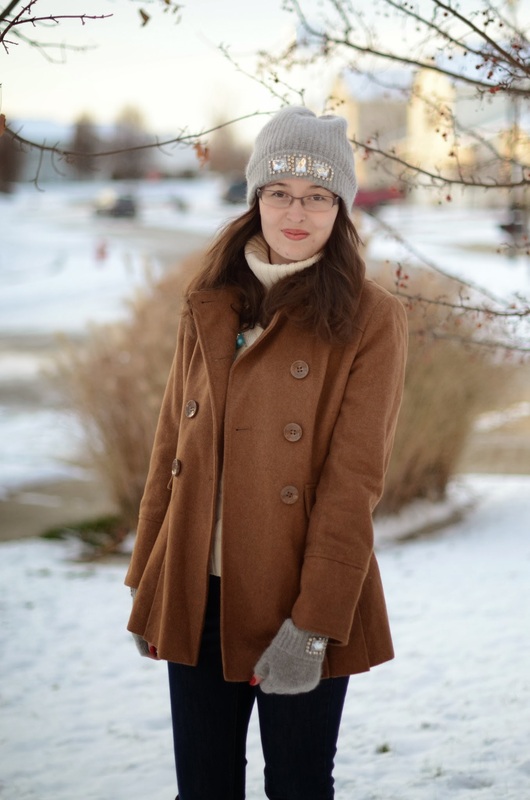 My favorite item from Alice Hannah is the Diamante Bow and Cable Armwarmer. I love the grey lace scarf! Cute outfits guys! pretty too. It definetly looks cold down there! I like Sparkle Lip Hat. I love the leather gloves with frills and bows and the grey lace scarf! Lace is one of my favorite fabrics! I love the baroque lace scarf and the lace shawl! They're both beautiful - but prob. my favorite is the lace scarf. Thanks for doing the giveaway!